Puerto Banus is Marbella’s hotspot and world-famous port situated right in the heart of Spain’s Costa del Sol. Puerto Banus famous reputation in recent times stands for being the short break space for many famous celebrities, royalty alike and rich people. 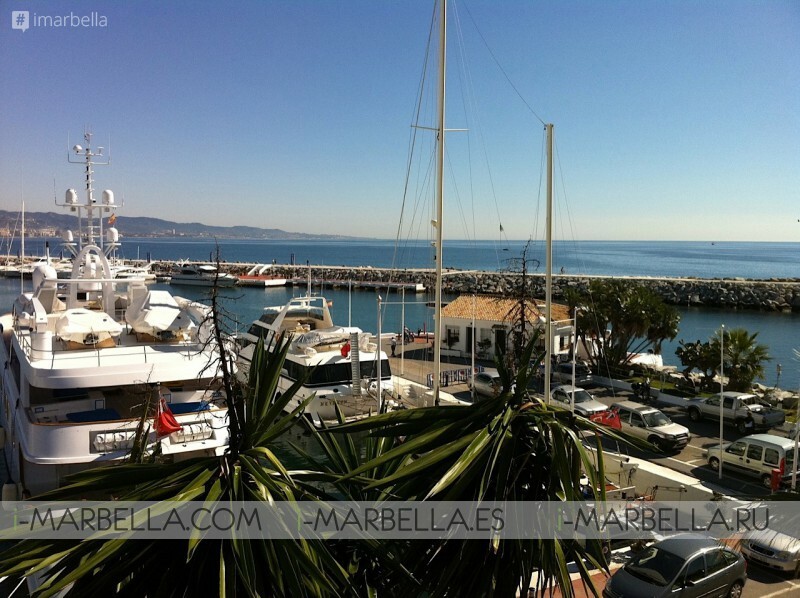 Puerto Banus is located on the lovely west part of Marbella and just before reaching San Pedro de Alcántara town. Newly nicknamed 'The Gem of Costa del Sol'. 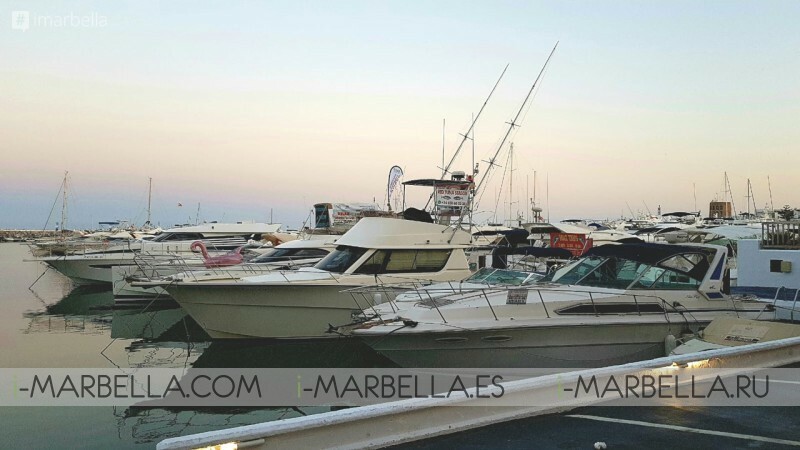 Puerto Banus is synonymous for yachts, late model cars, luxury, celebrities who are there to enjoy the sun and be seen, without any doubt a place in Spain that worths to be visited. Puerto José Banús, more commonly known as Puerto Banús is a marina located in the area of Nueva Andalucía, to the southwest of Marbella, Spain on the Costa del Sol. It was built in May 1970 by José Banús, a local property developer, as a luxury marina and shopping complex. After first being discovered in the second half of the 1940s by the likes of Ricardo Soriano, the Marquis of Ivanrei, the Marquis of Salamanca and Prince Alfonso von Hohenlohe, the stars of the day flocked to the resort. Banus saw an opportunity. He developed an idea to provide Marbella's international elite with a glamorous exclusive marina where they could shy away from prying eyes. The wheels were set in motion in 1966 when Prince Alfonso Hohenlohe introduced Banus to two architects, Noldi Schreck, who had helped design and build Beverley Hills, and Marcos Sainz, who had both been hired to design the Hotel Marbella Club. Banus became the largest developer of residential tourism complexes on the Costa del Sol. And the port, which still holds his name, was transformed from just two roads and a marina into a millionaire’s playground. Puerto Banús is now the most glamorous marina in Spain and one of the best known in Europe. It is almost impossible to walk through its streets without taking a picture with a yacht, a sports car or why not? even an international celebrity. So now let's focus on the many things you can do and enjoy from this gem of Costa del Sol. Start the day by checking out the Puerto Banus Ports. one of the most beautiful and luxurious in all of Spain. 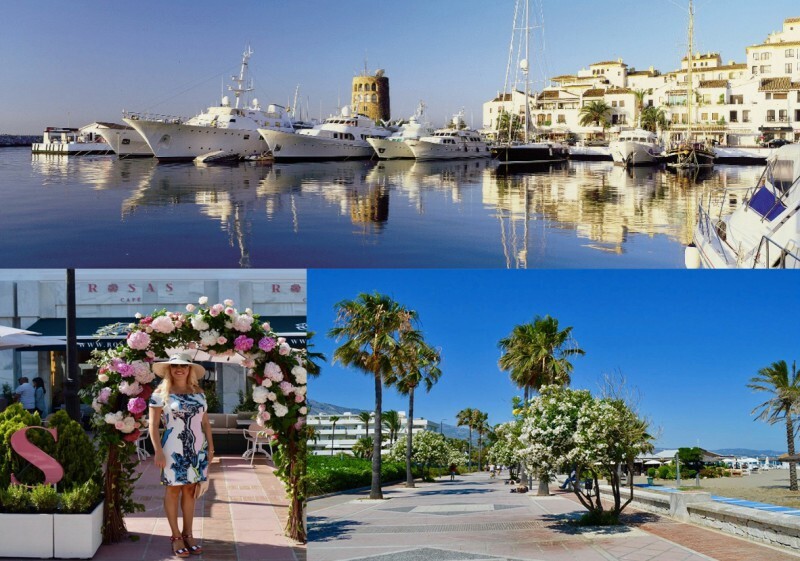 Puerto Banus Port: Either if you wish to spend a day or more in Puerto Banus, This is a must during your holidays in Marbella, and the first thing you have to see is with no doubts the docks of the Sports Port Puerto Banús. Located in the city center, the Sports Port Puerto Banús. is structured in two levels: upstairs, you can find the "port terraces", which often host events and shows; And below, the stores and the nautical facilities, together with the Club. Sports Port Puerto Banús offers 377 berths and all the necessary services for the care of the boats. In addition, from here leaves the Fly Blue, the ferry that connects Marbella with Puerto Banús. If you want a good 'souvenir', of course, this is the perfect place to shop in large international firms. Do not leave without taking a mojito in the Astral Cocktail Bar, its pirate ship form has become an essential stop. Marbella Yacht Tours: A holiday in Marbella is not a holiday without a trip to the sea! No Marbella holiday is complete without a day on the sea! There are many options available with half day (4 hours) and full day trips (8 hours) being our most popular requests. There are many options available with half day (4 hours) and full day trips (8 hours) being our most popular requests. Beaches & Sea: Puerto Banus holds a European blue flag and home to three beaches: Playa Nueva Andalucia, Playa Puerto Banus also known as Playa de Levante and Playa del Rio Verde. The 3 beaches are all very different from each other, so you are sure to find one that suits your taste. Marbella has some fantastic eateries that not only offer an extensive selection of cuisine but also offer a brilliant night out. You can opt as well for a bicycle tour. Apart from the ports, on one side you'll find top-level restaurants and boutiques from the best fashion firms in the world, and from other side yachts and boats. Restaurants: Looking for some food? Puerto Banus has more restaurants and bars than anything else. All kinds of food from Spanish seafood restaurants, American hamburger joints, Japanese sushi to Italian eateries. Marbella and Puerto Banus count with numerous luxury, select and gourmet restaurants, starting with the famous Santiago Restaurant. If this is not enough for you, check out Calima who boasts 2 Michelin stars, or Nikki Beach, Nobu Marbella, El Gran Gatsby, Besaya Beach, Daytona, Rosas Cafe, and more. Markets are also available! Every Saturday Puerto Banus holds an extensive market, probably the largest and most popular along this stretch of coastline. Here you can buy everything from handbags to carpets, to clothes, music, and furniture. Shopaholics can definitely have fun in Puerto Banus since its second top attraction is shopping. So be prepared to find endless street lines of boutiques and high-end designers that include: Louis Vuitton, D&G, Lanvin, La Perla, Emporio Armani, Burberry, Gucci, Michael Kors, Missoni, Roberto Cavalli, Dior, Bang & Olufsen and Versace amongst many others. Marbella's town owns several shopping places as we mentioned before and you can find em all at Marina Banus and Centro Plaza, however, you will find the majority of the town's designer labels in the marina area, along Calle Ribera. Night-Life: This is one of the highlights of Marbella, where the party is at. Puerto Banus counts definitely with a busy nightlife scene. The port is lined up with alfresco bars, beach clubs, and discos. During the summer time you'll be spoiled for a vast list of places when it comes to the party, and if you're looking for a good few days of luxurious, hedonistic fun, wild parties then you're in the right place. So be prepared for a full night party until the next day! Marbella the city has the best clubs on the Costa del Sol and one of the classics is the Olivia Valere, with its sophisticated atmosphere, its different environments, and its chic decor. Sala Beach and Ocean Club Marbella host numerous day parties throughout the summer. Other nightclubs include Dreames, Mirrage, News Cafe. So if you look for a luxury party thinking about champagne parties, lounging on beds by an inviting blue pool while being served a gourmet lunch by attentive staff. Puerto Banus has all of this waiting for you! If you're visiting Puerto Banus in June then luckily you'll witness a visual feast of bright Flamenco costumes takes over the streets and squares of the port. And finally but not least important. Sightseeing Places: The exotic Bioparc Fuengirola famous for its wild variety of animals and species. One of the most symbolical landmarks Senda Litoral Dunas de Artola is truly a must-see spot while being in Marbella. The famous Bonsai Museum which is truly a lovely tourist spot that often happens to be heavily crowded by curious newcomers and locals alike. Along Puerto Banus promenade, you can also find a unique solar watch that has the shape of a boat, the beach of Puerto Banús holds the Blue Flag, that certifies the quality of its waters and its facilities. And finally 'La Victoria', a large statue (over 30 meters tall), better known in the city as “the statue of the Russian”, supposedly donated by the mayor of Moscow to the town of Marbella in the “Gil era”. Did you enjoy the blog? If you like what you've read, for more engaging content please take a look at what are the coolest things to do in Marbella? 2018 The ultimate guide for Marbella.